We create a map and a layer. 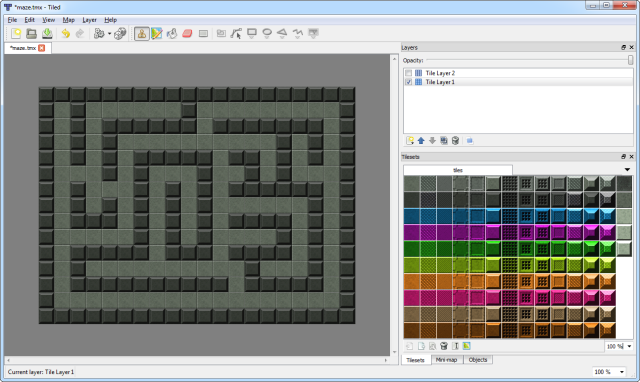 Collision is set to be tile ID 20 (the dark grey brick tile). 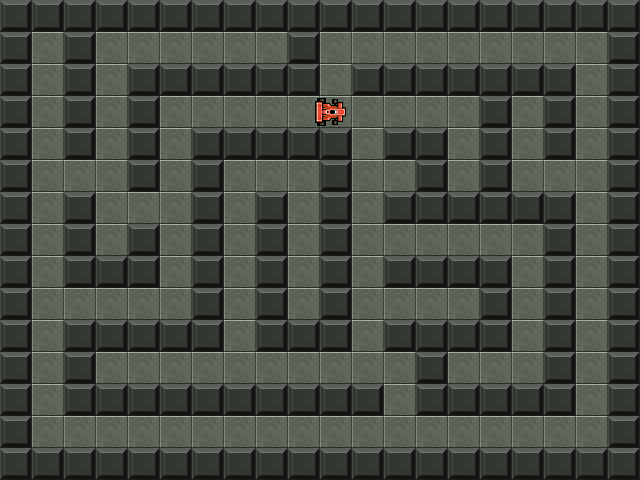 The car is positioned in the top-left of the map and is started off moving down the grid. It’s the movement around the map that makes this an interesting challenge to solve. While on the surface it may appear very simple it actually requires the player object to have a basic intelligence of its surroundings. The player is controlled by the arrow keys. When a key is pressed they start moving in that direction and don’t stop until they either hit a wall, or another key is pressed taking them in a new direction. In the above screen shot the car is approaching a junction. If the player doesn’t press anything then it will carry on moving down. 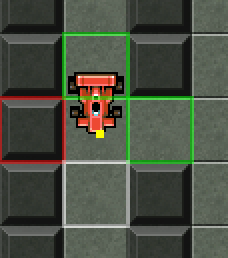 However if they press right the car should move right, but only when it exactly hits the space in the wall to the right of it. So how can the car know if it can turn, and when it should turn? For this we’ll keep track of the 4 immediate tiles surrounding the car. Tilemap.getTileLeft and its fellow methods do exactly what they say on the tin: They’ll return the tile immediately to the left of the given coordinates (or null if no tile was found). Because they work in tile coordinates and not pixels we first need to find out exactly where our car is in the map. We can do this by calling Math.floor on its x and y values and then using Phaser.Math.snapToFloor to convert those to grid coordinates. This will give us the exact tile is the car is in. We store this in the marker variable. The green tiles are ones the car can safely move in to. Red means ‘blocked’ and the white tile is the current heading. Knowing if the car is going to be able to turn is the first part of the solution. The second is telling it when to turn, because we only want it to do so when it reaches the correct point in the map – otherwise it will collide with the wall and stop dead. This is done using the checkDirection method. It requires one parameter – the direction in which the car wants to turn. This is one of the Phaser direction constants such as Phaser.LEFT or Phaser.DOWN. If it passes those conditions then a turn marker is set. This is stored in turnPoint, a Phaser.Point object that holds the coordinate of point at which we want the car to change direction. When the car.x and car.y values match the turning point values, the car is turned to face its new direction. This is fine if we know the car is moving at exactly 1 pixel per frame, but falls over if we want to apply acceleration, velocity or any kind of delta smoothing to the speed of the car – because its x/y coordinates will almost certainly never exactly equal the turn point. This is perfect for our needs. Based on a velocity of 150 we can use a threshold value of 3. This is enough to ensure that the car won’t skip past the turning point. In the update method we check to see if the car has reached the turning point. With this final part in place you can now freely drive around the map, turning into the corners and sliding into the walls at will. We reset his horizontal scale and angle, and then adjust them based on his direction. By default he faces the right, so we can flip his scale.x to make him face left. In order to face up or down we rotate him. 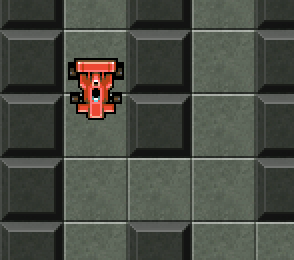 This gives him a 16×16 sized body in the middle of the sprite (which is 32×32). This fits into our 16×16 sized grid perfectly. 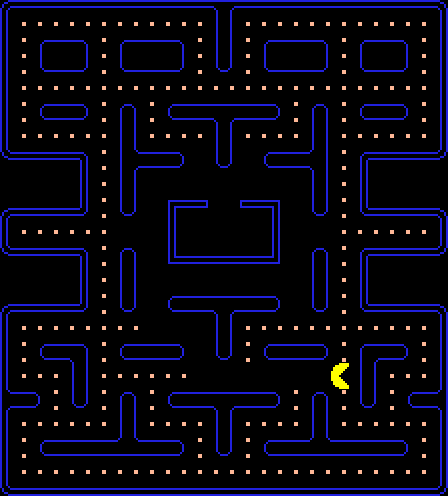 Pacman needs some dots to munch on. These have been drawn into the tilemap using tile ID 7. 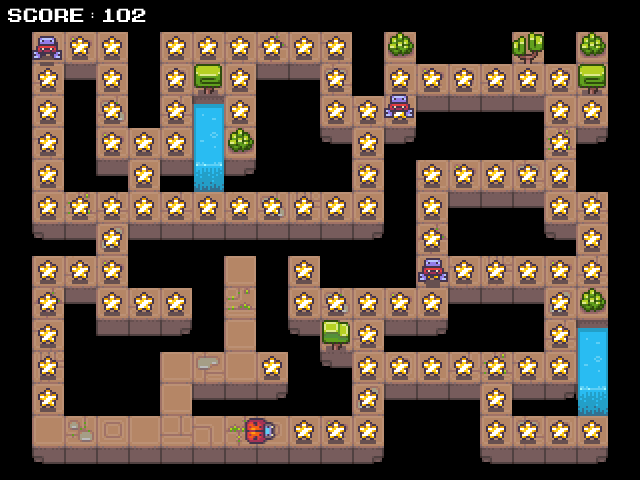 So we’ll use a Phaser feature to convert all tiles with an ID of 7 into Sprites. This takes the dot tiles, replaces them with blank floor tiles (the safetile) and adds a Sprite into the dots Group for every one of them. The setAll calls adjust the position of the dot sprites, adding 6px to their values because they are only 4×4 in size – this puts them back into the middle of the tiles. The dot is killed. If the dots Group gets down to a total of zero alive dots then we revive them all – so you can eat them all over again! Hopefully you can see that with very little extra code we’ve now got the essentials for a smooth Pacman game. This game will be featured in our forthcoming Phaser Book of Games. Key Timers – you have to be holding the key down the moment you hit a corner or junction in order to turn. The second you let go of a key the player ignores the turn. 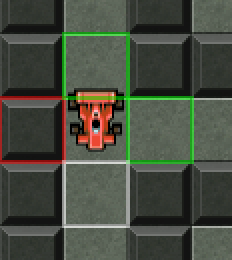 You could have a ‘cooling down’ period after a key is let go – so the player will still turn, even if the key isn’t actually held down, so long as it was pressed within the last X* milliseconds. The value is up to you to determine! * Wall segments you can go through, teleports and screen-edge wrap-arounds. * Curvatron Single-button Tron for up to 8 players! Posted on February 6th 2015 at 5:30 pm by Rich.